Being able to do your online shopping and pay with Bitcoins is pretty cool, but here is something that you might just find even cooler – do your online shopping and get paid bitcoin rewards! Loyalty cards and rewards points are a very familiar part of the shopping experience for most of us. The reader will probably also be familiar with the kind of ‘cash back’ shopping sites you find on the internet, which get a commission on each sale for promoting specific stores and then share that commission with you as a reward. It makes sense for retailers and marketers to share some of their profit back with you, if it means that they get more business, and for shoppers it is a nice way to save money on everything you buy. But like so many parts of the traditional financial system, cash back and shopping rewards are being improved by Bitcoin and its blockchain technology. Bitcoin rewards can be paid out much sooner (no waiting years to get enough to cash out) and with much lower operating costs (meaning you can get more rewards!) and, unlike branded loyalty points schemes, you can spend them anywhere you want. Here are some of the best Bitcoin rewards programs currently offering you digital cash back on your shopping. CoinRebates works with over 300 U.S. based retailers to give you bitcoin cashback on everything you purchase. That 300 includes some pretty big names too, such as: Microsoft, Overstock, Starbucks, Best Buy, Walmart, Expedia, Groupon, Sears and plenty more as well. The process is pretty simple, and will be familiar to anyone who has used this type of site before. You start off on the CoinRebates site, where you register and account and provide a BTC address you want to get paid to. When you want to buy something you go to their directory of merchants. Here you will see all of the places where you can earn rewards from everything your purchase. Each retailer has a different offer attached to it which is listed here as well. Then you just click-through to visit any retailer and do your shopping as normal – paying with a credit card, or paypal, or whatever method you normally use. CoinRebates then credits your wallet with the advertised number of coins for every dollar you spend! If you are something of a traveler then you should definitely check out HotelGo24. If offers a pretty comprehensive international service for finding and booking hotel rooms anywhere in the world. You can view prices in any of the world’s major currencies and you can book your room over the internet or buy phone. The site currently boasts over 130,000 hotels listed, and allows you to compare prices to get the best deal. And of course, every time you book a hotel room through their service they will share the love by paying you a reward in Bitcoins. PointsHound is another hotel booking site, but this time it is an established site which has added digital currency as a payout option, rather than a new site built specifically for that purpose. The site started off as a way for travelers to earn extra frequent flier from their hotel reservations as well as the flight itself. 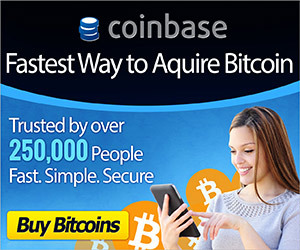 This is still the core of their business, but they now have an additional option to receive BTC instead of Air Miles. They boast a directory of 150,000 2*-5* hotels all around the world, and 19 currency options for making payments. The offer from Gyft is actually slightly different from the other services listed here. They sell electronic gift cards for major retailers like Apple iTunes, Amazon, and around 200 other well-known shopping sites. You can buy these gift cards, which are denominated in USD, using credit and debit cards, Paypal, Bitcoin, and other popular payment methods. Once you have your card you can start shopping – and get 3% cashback on all of your purchases, paid in BTC. They provide a user-friendly app to store all of your eGift Cards, and of course they may it easy to send a Gift Card to friends and family via email or Facebook. This is a great way to introduce new people to digital currency by giving them a familiar type of gift which they can use to shop at their favourite stores, but which also gives them some free coins every time they use it. The Pick2Pay app helps you to search for the best deals as well as rewards on all of your shopping. As of 2014, they started to include Bitcoin deals in their search results. You can use it to search retailers or for specific products, and it will show you anywhere it can find which offers a discount or reward for paying in Bitcoin. Its more about discounts and deals than cashback rewards to be honest, but its a nice little app which deserves its place in my list. If you are a business owner then you may like to take a look at BitcoinRewards.co, who will help you to create your own card for a wide range of purposes including sweepstake prizes, customer loyalty rewards, sales incentives, corporate gifts, event giveaways, bonuses and more.